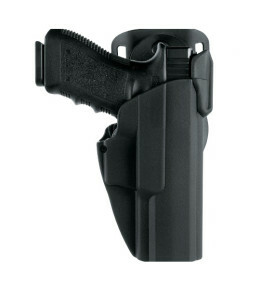 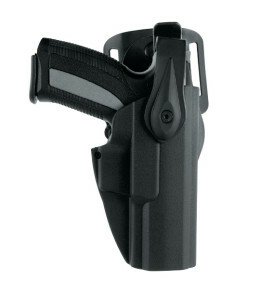 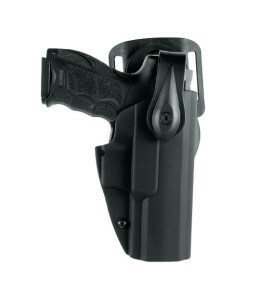 The holster Evolution5, in its design, is constructed in one sole piece, in injection stamped polymer. 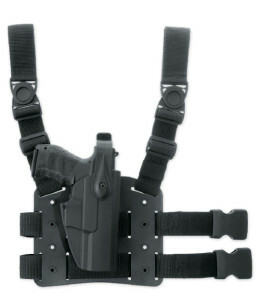 The insertion and the extraction of the arm with the Evolution5 holster is optimal in any climatic situation, it does not undergo any type of alteration, it does not need any internal lining or similar because it does not have any protruding or visible metal parts. 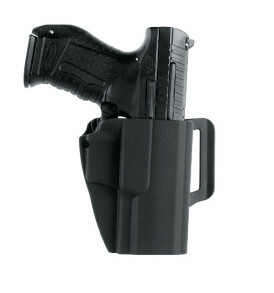 The accurate choice of the raw materials and evoluted productive technology give the Evolution5 holster a very high technical and esthetic quality. 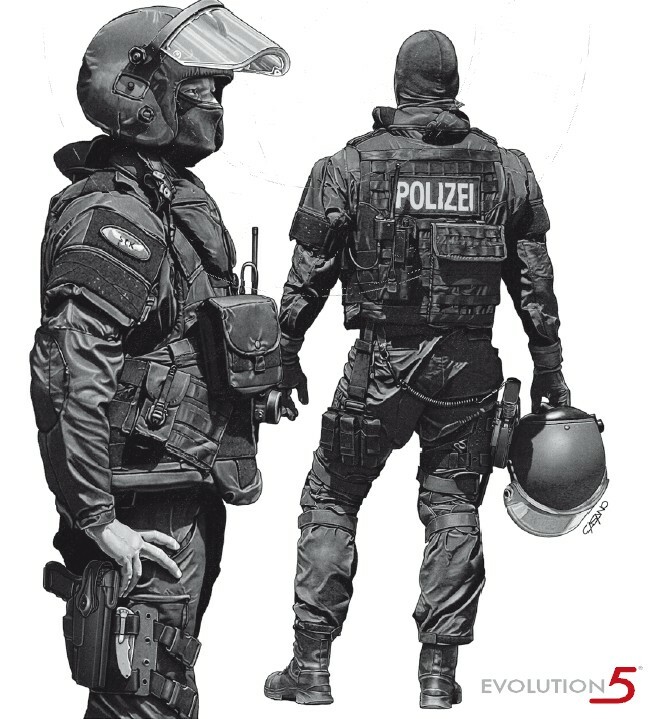 The various Evolution5 security levels 2-3-4-, consent the protection of the arm and at the same time guarantee a quick extraction. 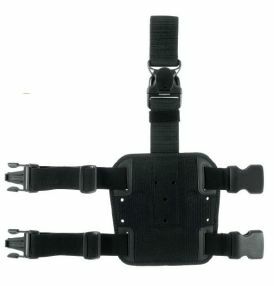 The Evolution5 system is composed of fixed, rotating, and removable belt loops, in order to obtain several inclinations and positions. 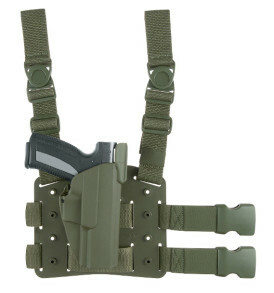 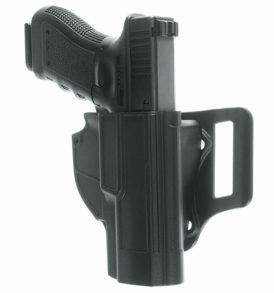 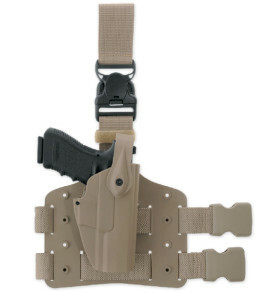 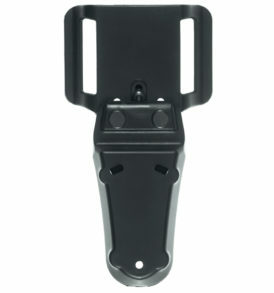 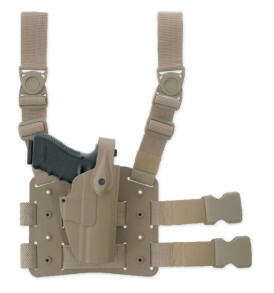 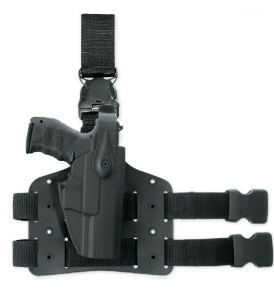 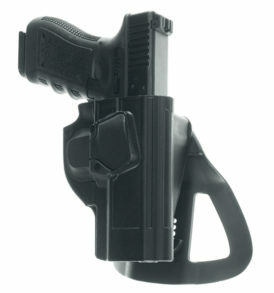 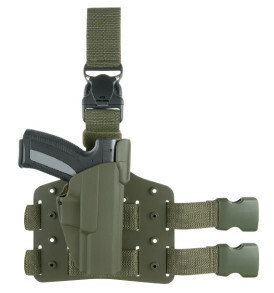 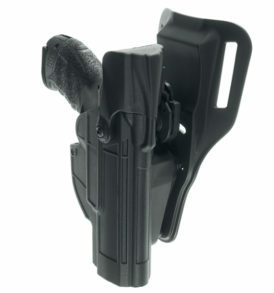 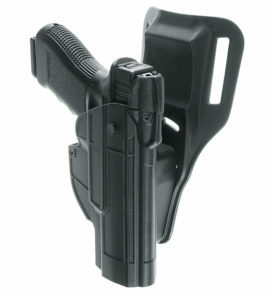 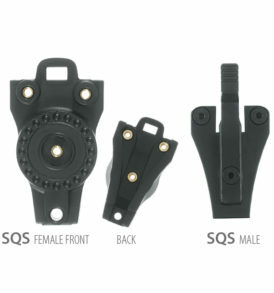 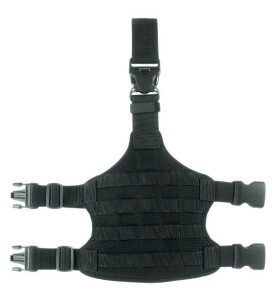 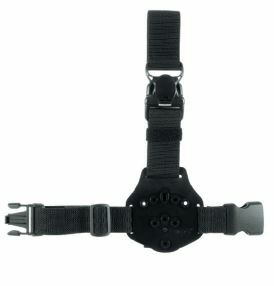 The patented high rotating function of the belt loop, consents the holster-arm group to be higher, respect to the operators sitting position in a determined way and of at least 180 mm in respect to the vertical position, and can also rotate both ways depending on the needs of the operators. 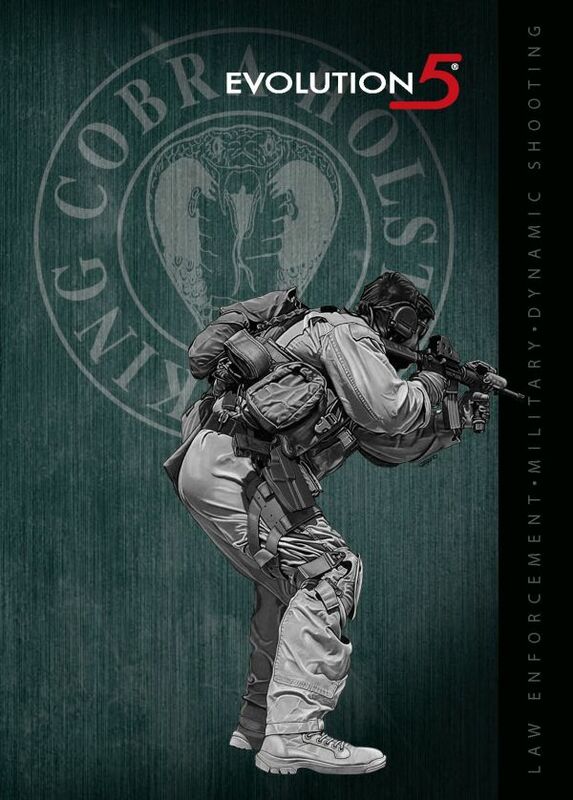 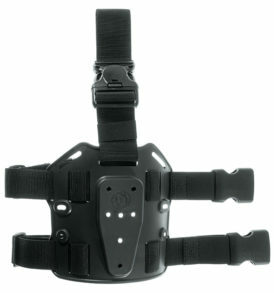 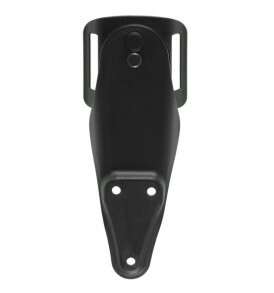 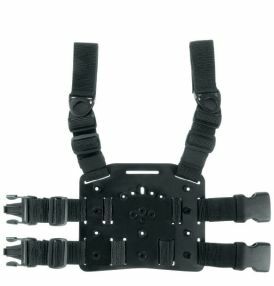 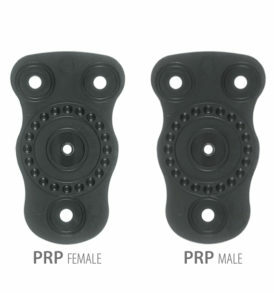 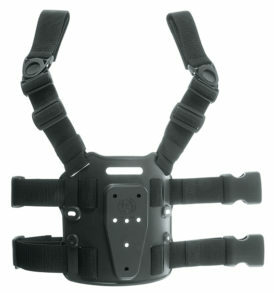 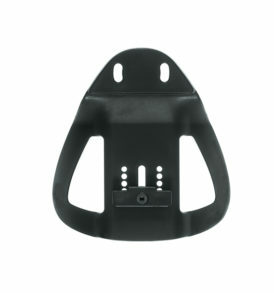 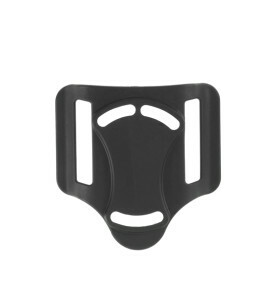 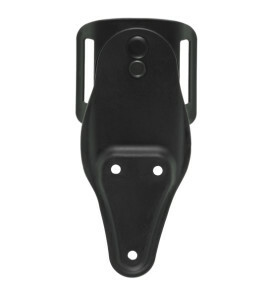 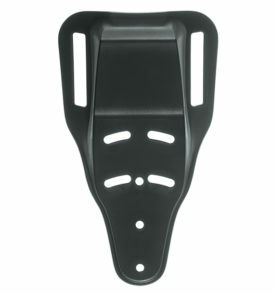 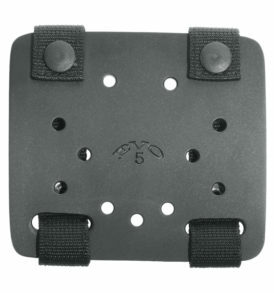 Besides this, it can be applied to the holster with a three-point application, integrated and personalized with a large range of spacers and distance plates, which permit the costumisation of the inclination, the height and the distance from the operators body, depending on the operating needs. 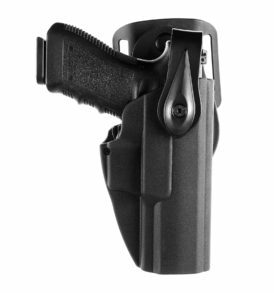 In the year 2017 we have introduced a new line of holsters EVOLUTION5 2.0 in injection stamped polymer, with a new design, new security and locking systems, new belt loops, new tactical leg plates and several new accessories for the placing of the holster. Each of the 7 new holsters have different security and locking systems. 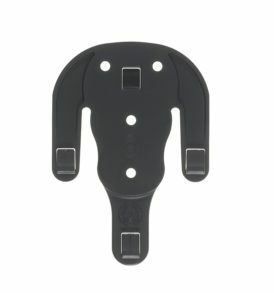 The experience and efficiency in designing, testing and monitoring every productive process always provides solutions, in the operational requirements.